Knowing the reasons for high blood pressure can help you escape the clutches of hypertension. Educate yourself, then free yourself. When our heart beats it pushes blood through your arteries and into all areas of your body. This blood flow keeps all of your organs working properly and sustains your daily life activities. When your doctor checks your blood pressure and rattles out those numbers, they are telling you the amount of pressure pushing against the inner walls of your arteries as this blood rushes through your body. Ideally, your blood pressure will be around 120/80, so when your numbers come back higher than this you are diagnosed with hypertension. Hypertension, or high blood pressure, simply means there is too much pressure on those arteries. Your heart is working overtime trying to pump blood throughout the entire body and it is under distress. Eventually, that distress will lead to heart failure and your life could be at risk. Have you ever pulled an all-nighter studying for a big exam in college or high school? What would happen if you tried to pull multiple all-nighters and didn't sleep for an extended period of time? Your body would give out ... and that is exactly what your heart eventually does if you don't get your blood pressure under control. There are some reasons for high blood pressure you can't do anything about, but most of them are within your control. There is such thing as "genetic hypertension" which means you are at increased risk of developing this condition because it runs in your family. If you think this is true for you, don't let it stop you from trying to break the family cycle. Even with this genetic predisposition, it is possible to control your blood pressure and escape hypertension. If you are of African-American decent, over the age of 35, pregnant, or living in a stressful environment, then you are also at higher risk for developing hypertension. The good news is you can still control your risk and escape hypertension if you pay attention to factors that are within your control. All of these things are within your control and could help you escape or completely prevent hypertension even if you are African-American, over the age of 35, or living under a great deal of stress in your environment. The more sedentary you are in daily life the higher your blood pressure is going to be, so try to work in as much activity as possible. Alcohol and cigarettes should be limited or completely eliminated so your lifestyle does not affect your blood pressure negatively. The hormones that birth control pills spike in your body can raise your blood pressure, so consider alternative methods of birth control if at all possible. Finally, watch your sodium and sugar intake and start exercising a few days a week to help control your weight. This will ensure your heart doesn't have to work overtime trying to supply an obese body with adequate blood flow. Note that there are no references to taking prescription medications on this page. There are ways to control your blood pressure naturally. It's all about making lifestyle choices to manipulate the factors that are within your control. You don't have to be perfect and live like a nun. Just keep these reasons for high blood pressure in mind and make the healthiest decisions possible the majority of the time. Return from Reasons for High Blood Pressure to Lower Blood Pressure Naturally for more tips on lowering blood pressure without medication. Want to make quick healthy meals and snacks your kids will actually eat? 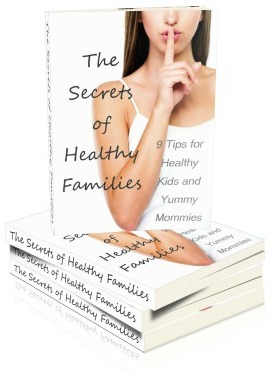 Sign up for Simply Healthy - our free online healthy eating coaching program with kid approved recipes and tips and receive a complimentary copy of "The Secrets of Healthy Families: 9 Tips for Healthy Kids and Yummy Mommies"
We hate spam as much as you do so your email address is totally secure! We're so confidant you'll like "Simply Healthy" that you can choose to unsubscribe at any time and still keep The Secrets of Healthy Families!